After dropping out of directing Ant-Man at the seeming behest of Marvel many were disappointed it would be even longer before we received a new film from director Edgar Wright, the guy who made the marvelous Three Flavours Cornetto trilogy as well as the phenomenal Scott Pilgrim vs. the World. Having written and directed the film, which follows a talented, young getaway driver who, in a very Wright touch, relies on his own personal soundtrack to be the best in the game. It is after this driver is coerced into working for a crime boss that he must face the music when a doomed heist threatens his life, love, and freedom. Featuring a cast led by Ansel Elgort (The Fault in Our Stars) that also includes Jon Hamm, Jamie Foxx, Kevin Spacey, Jon Bernthal, and Lily James (Cinderella) Wright certainly has set the tone for a different flavor of ice cream this time around, but with his singular style and vision it's always clear that what we're watching is very much a piece from an artist who keeps a coherent throughline with all of his work, but at the same time isn't afraid to try something new and daring. 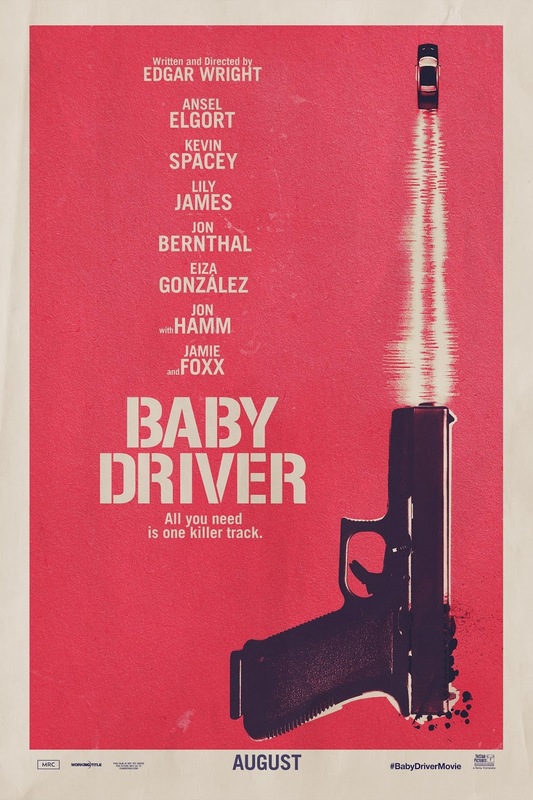 This became especially clear when he broke away from regular collaborators Simon Pegg and Nick Frost for Scott Pilgrim (which may arguably be his best film), but with Baby Driver it seems the auteur has pushed himself even further to both still operate in the cinematic world he has created while also coming up with something new rather than simply relying on his same old tricks. 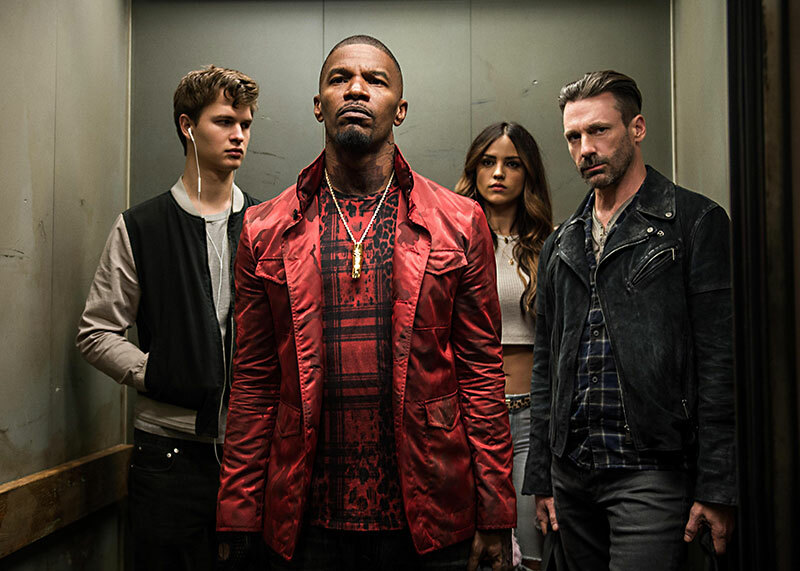 In short, I'm liking what I'm seeing here-Elgort is a more than capable lead and seems to have handled the weight of this original and uniquely conveyed picture with ease while that stellar supporting cast seem to be having nothing short of a blast; Hamm, Foxx, and Spacey especially seem to have been inspired by the refreshing take on movie-making and while I feel like was rather late to step onto the Wright train this is certainly one of my most anticipated of the year and can't wait to see what the film in its entirety holds. 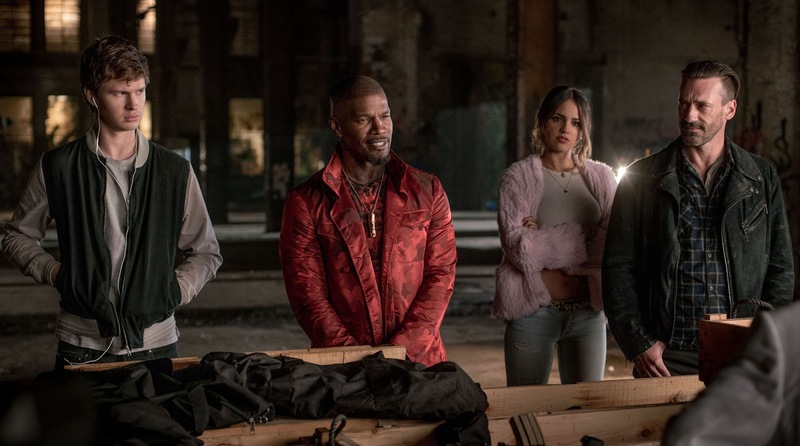 Baby Driver also stars Eiza González, Flea, Sky Ferreira, Jeff Chase, and opens on August 11th, 2017 after premiering at the SXSW festival in Austin, TX tonight.